Hiding amoungst the trees, taken on my first road trip in the Unites States of America. 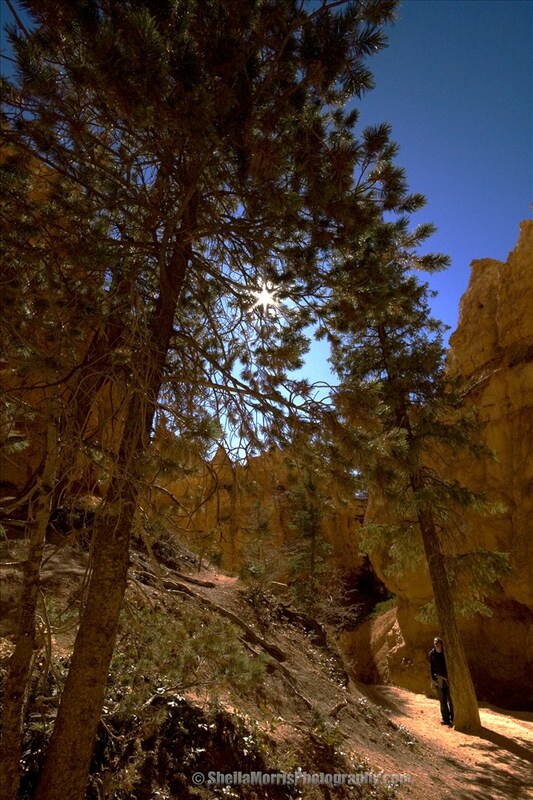 This was taken whilst on a walk through the hoodoos in Bryce Canyon, Utah. There is spectacular scenery here and lots of opportunity to take lots of photos. A place that I hope to go back to again sometime. The trees here are very tall, which, if you ever get the visit the place, you can understand why. The gaps between the hoodoos are very tight and the trees don’t always get sunlight all day, so they have to grow tall to get decent exposure.